Project for the “Third International Exhibition of Architecture in Venice”. 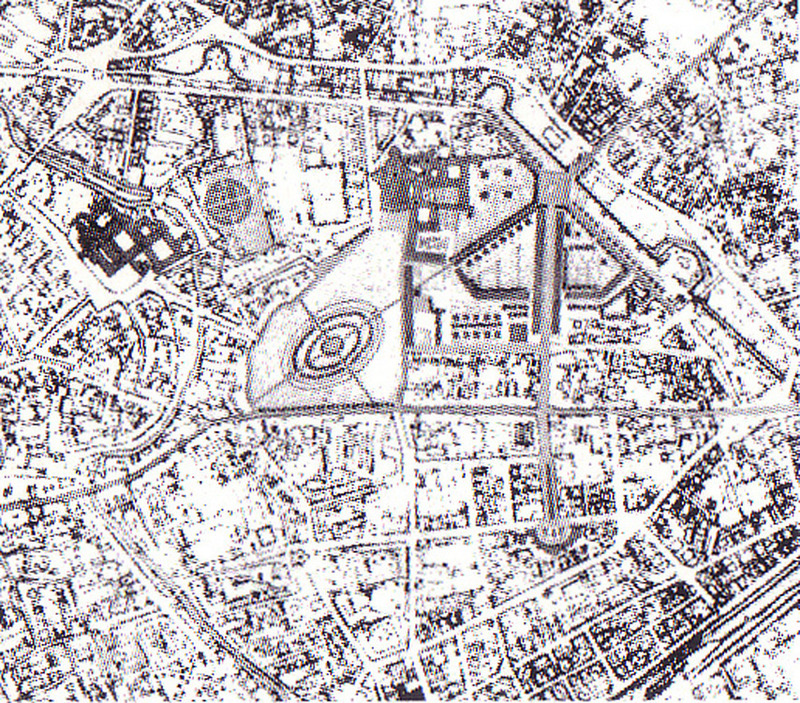 The need to lead the “Prato della Valle” to pure aesthetic enjoyment, coherently with the instance of a large urban park, led us to propose the removal of trough-traffic and tangent-traffic with the exception of the segment that connects the walls’ centre to the axis of the old gothic district called Santa Croce. The main axis of the median ellipse was taken to identify a pedestrian path that head to the breach of the wall from which the city had spread out: organizing on its right side another portion of urban park on the background of the powerful structure of the Santa Giustina convent cleared by military accretions, this walkway also expresses the allegory of a lost relationship between town and countryside, between interior and exterior. 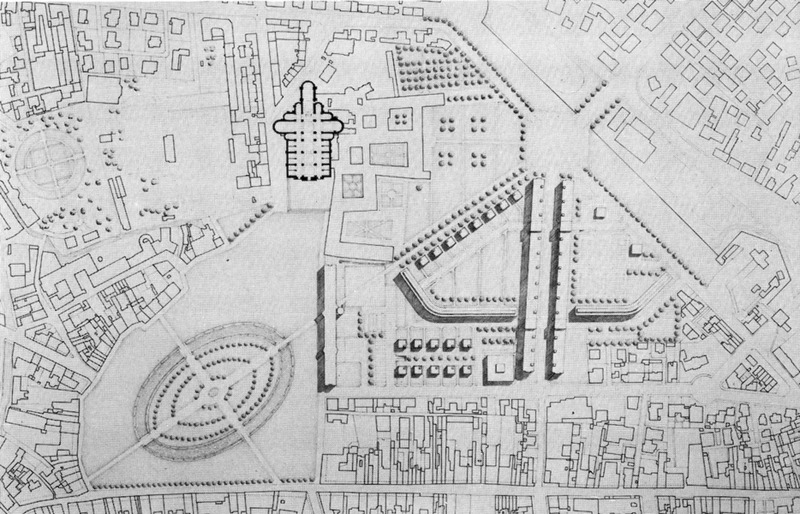 A second fundamental vehicular axis organizes traffic draining it from the contour of the “Prato della Valle” to a “urban” path flanked by two residential wings confirming an already existing sign that still head to the gap in the walls where a new square ends (whose type already corresponds to similar situations in the city). From the already mentioned double residential front, other curved wings arise along with single family residences that, mixed with services, methodically occupy the spaces of the entire urbanization. On the edge of the “Prato della Valle open space” this residential program gets complete with a building that hosts collective functions (hotel, conference rooms, restaurants). The market and the bus parking for the pilgrims of the Holy are located on the back. This building is crossed by the new pedestrian path coming from the walls. With a external helical staircase it is possible to reach the viewpoint on the topmost level of the building: from here it’s possible to understand the logic of this architecture. Finally, the “Prato della Valle”: this space is designed covered in turf and, in absolute abstraction, further highlights the pale stone architecture, water and trees left from “Memmo”. That architecture stands for the mental geometric harmony compared to a space with asymmetric and “casual” borders: it is the core of the proposal.